Material Used : Iron, Leather. 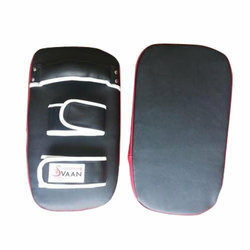 We design and develop arm protectors as per the clients specifications. We are the leading manufacturers and suppliers in Germany, Europe and America. Leather Forearm guards with brass details Perfect for Costume Theatre or LARPGuards Adjust to fit almost any adult Condition Of This Arm Guard is NewIt is made up of black leather Handcrafted Arm GuardIts awesome Adjustable Arm Guard. We are manufacturing and exporting an exclusive range of Arm Guard Academy to our clients which are provided under the guidance of our experts. These are well known for the perfect finish, exact in dimensions, long life and flexibility in supreme comfort and movement of arms. They can be offered as per the diverse specifications of clients. A beautiful leather arm guard. It i is made of leather. We have a wide range of Arm Guard, which is made up of finest quality of raw material to ensure maximum safety for the players. 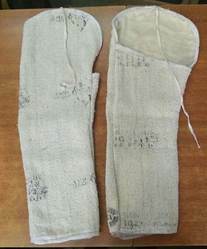 It offers complete comfort to the players or users. These arm guard undergo strict quality tests to ensure that they are in compliance with the international standards. Our products are available in markets at competitive rates. Designed to absorb shock and disperse impact. Made with high density foam protection covered with soft vinyl, provides secure fit and protects the entire forearm. Two elastic straps with hook & loop closure. hallmark test: molded high density eva, towel lined arm guard. sweat band velcro. Wind Cheater outer with foam padding adequate protection to arms and shoulders, velcro fastening. Keeping the diverse requirements of customers in mind, we are instrumental in providing Arm Guard. We are engaged in manufacturing leather leg guards for industrial purposes. These are made with heavy quality split leather and are designed to fit perfectly in leg. We offer our leather leg guards and legging in various sizes. We are blessed with an industrious team of professionals, who have the skills to create a dynamic range of arm & leg guards 1 as per the ruling trends of the market. Fabricated with the authentic leather, these products undergo strict quality testing before being dispatched to the market. It is useful accessory to be used in drama show, a theater or a fancy dress competition.